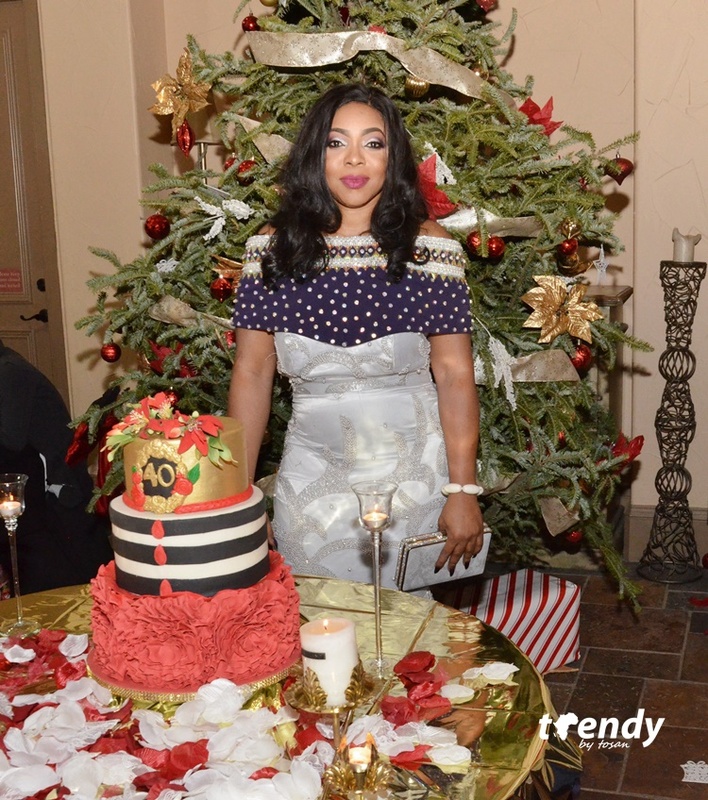 Guests braced the frigid temperatures on new years eve to show love to Chioma Tessy Onyekwelu as she celebrated her 40th birthday in Little Elm, Texas. She was joined by her immediate family members who arrived from Nigeria, UK and France. Gorgeous ladies sparkled in Red ensembles while gentlemen had on red bow ties or simply ‘a touch of red’. Chioma is a clinician who is largely known for her dedication to duty. The party was such a glamorous way to bid 2017 ‘bye-bye’.